John Frieda has made a name for himself over the years with styling products you can find in the drugstore to fight hair frizz. Now he has a new collection which goes straight to the source of the frizzing problem - when hair is wet - with his new Smooth Start line. We tested these products on a user with a naturally curly, shoulder length, fine/medium hair with a tendency to frizz. 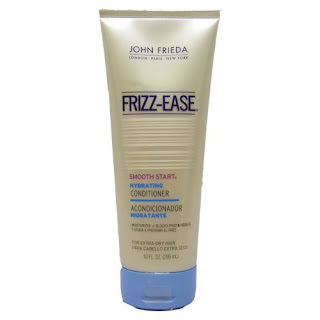 The John Frieda Frizz-Ease Smooth Start Shampoo was thick, creamy and coated the hair well, with a nice fresh scent. It rinsed out easily and provided a nice, smooth finish to the hair without any residue. 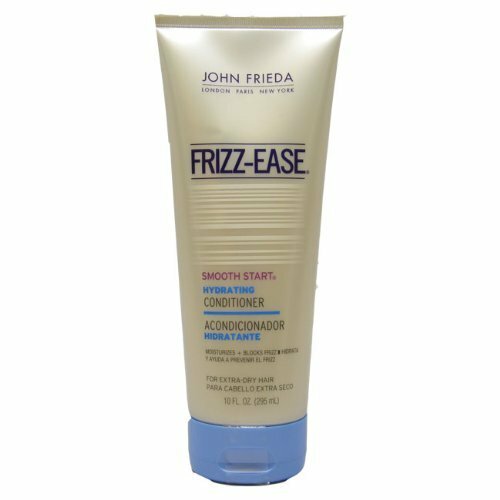 The John Frieda Frizz-Ease Smooth Start Conditioner was also thick and creamy and made the hair very soft, smooth and provided a nice "Slip" to comb through any tangles. It seemed to provide a very light "sealant" to the hair which didn't weigh it down or make it sticky. As a test, we dried the hair with a blow dryer lightly (not using any additional styling products) and the hair was smooth, bouncy with a nice, loose curl. Throughout the day the hair maintained that look with little to no frizz on the ends. The combination of products provided nice heat protection against the blow dryer as well. (Note: For those of you with thicker, coarser hair or a tighter curl, you may still need a bit of anti-frizz serum on the ends and the back of hair to ensure a frizz free look). *This product was provided courtesy of John Frieda PR for reviewing purposes.